I was planning on having a go at creating some art work myself, but let us just say that idea is still nascent. Though I think the delay has paid off. Now I pride myself on being a proficient web shopper, you name it, I can probably find it. We have purchased just about everything from wooden clothes hangers to disposable change mats to washing machines, hunting out the best deals possible. Hell I found my obstetrician by looking on the web! But I had never ever heard of Etsy. I only stumbled upon it as I was reading someone’s blog post – yay for blogs! But then I was off and started exploring and found some gorgeous art for my daughter’s room. The Etsy shop where I made my purchase is Wallfry – I even like the name – Wallfry ~ Wall art for small fry – how clever! 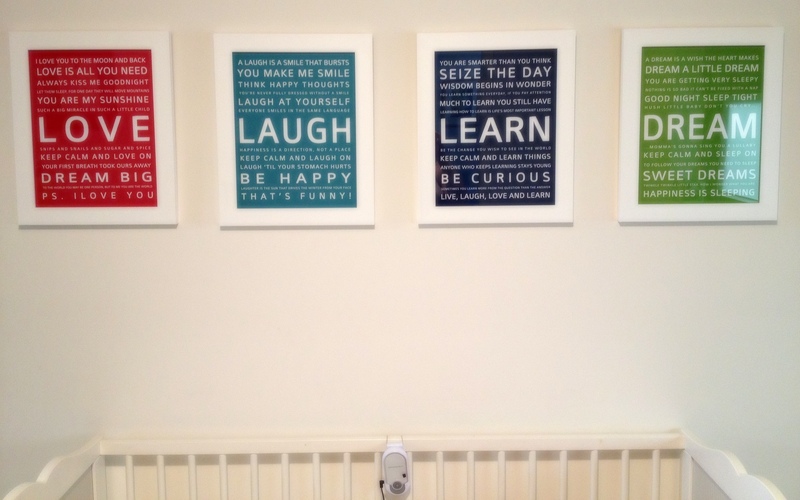 So a touch of Mum-onomics: great wall decorations do not have to come at a great price.